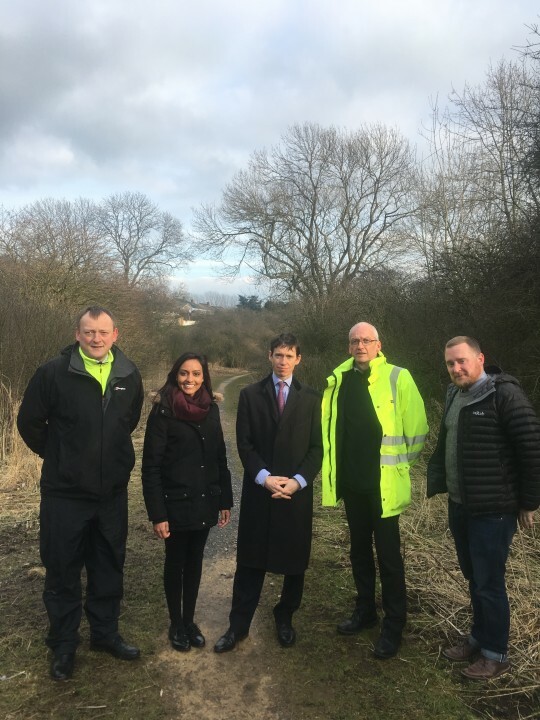 Rory Stewart MP has met with representatives from United Utilities and Eden District Council to explore solutions to the failing drainage system in Penrith’s Weatherigg’s Park, which has caused sewerage to be washed up onto pathways and grass verges throughout the park, during heavy downpours. The park, which is located between Clifford Road and the A66, is well used by families, dog walkers, sports clubs and schools, and residents have raised concerns about the risks to public health and safety. Previous attempts have been made to fix the problem, without success, since stakeholders have not been able to agree on an appropriate, affordable solution. However, following the most recent meeting with Rory Stewart, United Utilities have confirmed that they will be commissioning a report into the ongoing situation, and once that report is finalised it will be shared with Rory and Eden District Council for a strategy to be agreed, and any possible solutions will later explored with the local community.